Hey everyone! I hope your weekend is off to a great start. I have been enjoying a long weekend with my mom after Thanksgiving yesterday. As you find yourself crafting this weekend, take a few minutes to join the latest TGIF Challenge. This week's challenge is a Remix Challenge, so take two other challenges from this month and combine them. I decided to combine the Sketch Challenge and the White Christmas Challenge. 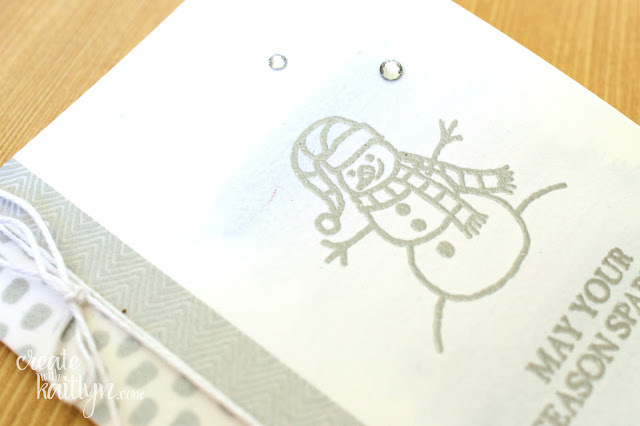 I started this card with a Note Card and added some Everyday Chic Washi Tape to the left side to follow the sketch. 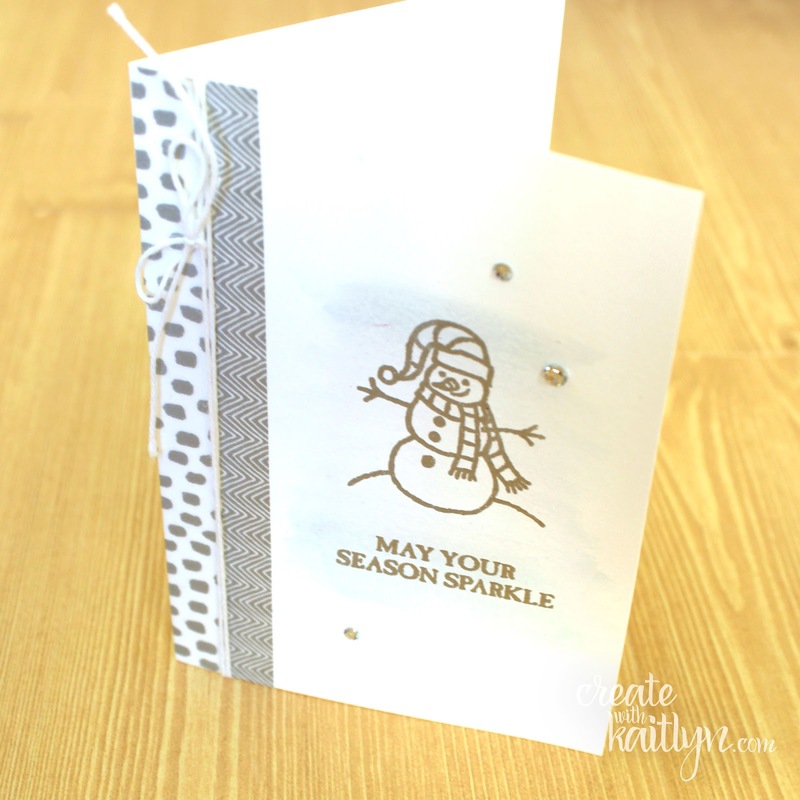 I then silver embossed that super cute snowman and sentiment from the Sparkly Seasons Set. Even though the card needed to fulfill the White Christmas Challenge, I decided to add just a bit of color with a quick Pool Party watercolor wash. A few rhinestones and some baker's twine and this card was done! 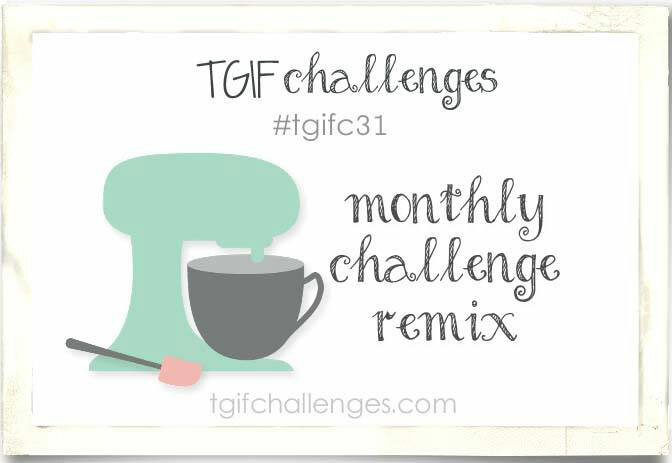 Use the button below to join the Remix Challenge fun at TGIF Challenges!